Mad Rock Team Member Alyssa Erickson talks about outdoors ethics with your family, and has some insight into what helps families get outdoors and stay stress-free. “Quick obedience – Obviously this is a work in progress with most of our kids, especially the really young ones. But it is a battle I would encourage parents to fight. In our current social climate the issue of obedience has been lost, many parents not expecting their kids to actually do what they say. In the outdoor sporting world this is a safety hazard. If you hire a guide to raft you down the Colorado River, you will pack how he says to pack. You sit where he says to sit. When he shouts, “paddle now, hard!” You do it. Now I am not saying you should be a drill sergeant. 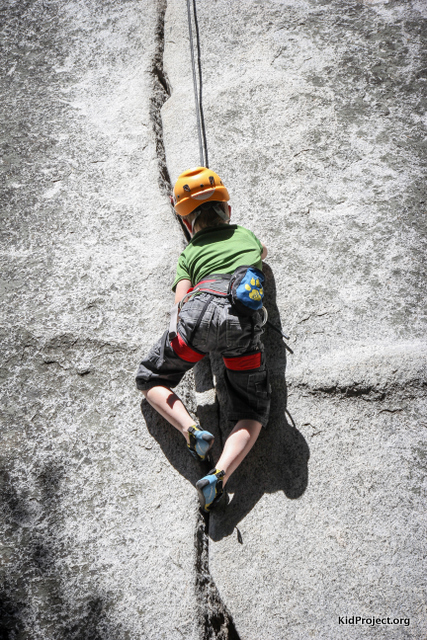 But if your kid is playing with the rope while you belay, and you say no, do they obey? Do they obey immediately without hesitation or arguing? Or do you have to enter into a battle of the wills every time? Choosing to take your kids into higher risk situations requires that they listen to and obey you. Limit group size – This is a new one for us, one that we’ve only started contemplating. It is hard because we want to get out and take climbing as many families as we can. Every year we have a huge Labor Day Family Climbing Trip. But as these trips have increased in popularity, I’ve begun to wonder if we should split into smaller groups, lessening our impact in terms of “route hogging”, noise, and crowd factor.